Busy health care professionals need access to trustworthy, practice-relevant information that's quick to access and simple to share. 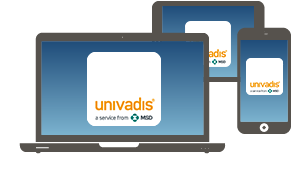 Univadis offers the latest clinical resources pre-selected around your specialty, and organised to fit the way you work. 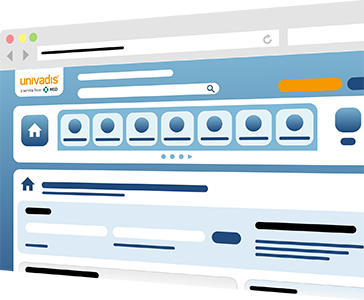 Univadis offers multiple ways to find exactly what you're looking for in an extensive library of quality medical content. 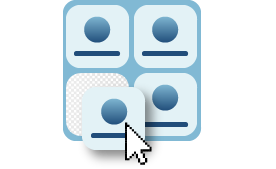 Browse by type, or enter specific terms and quickly zoom in on relevant results. Univadis is brilliantly designed for simplicity, ease of use, and total compatibility with any smart phone, tablet, or Web device. So no matter how you get there, you'll find the same valuable content, powerful performance, and intelligent features. Once you create an account and choose your specialty, Univadis does the work of delivering content relevant for your practice. From there, you decide which apps to install, which resources to keep within reach, and which items to save for sharing.